﻿ Technical Inquiry - FUZETEC TECHNOLOGY CO., LTD.
What happens if the current exceeds IH but does not reach IT? 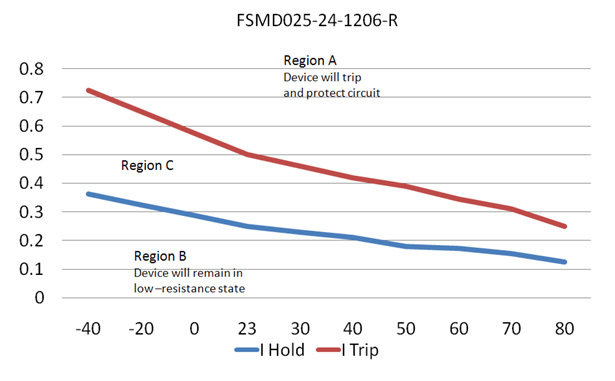 The range of current values between IH and IT represent a zone where performance of the device with respect to tripping can not be predicted with certainty(Fig.1, Region C). Depending on the initial resistance of the PPTC device, ambient temperature and mounting conditions, the device could either maintain a low resistance state and hold this current or it may be a sufficient current to cause the device to switch to the high resistance state. If the device is operated above IH, but under IT at rated temperature. 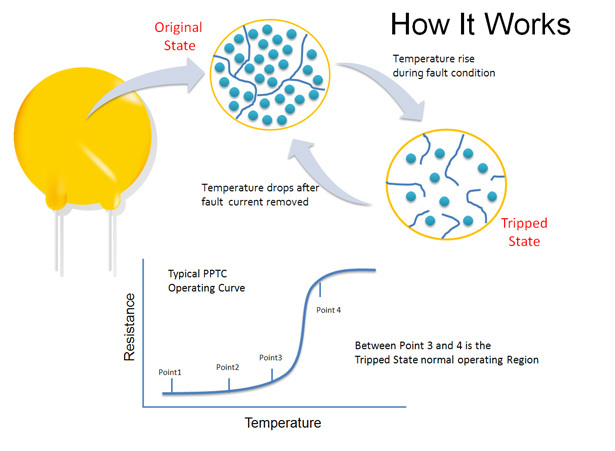 Depends on the initial resistance, the heat could still accumulated inside PPTC and reach trip temperature after a longer period of time.